Productivity apps are those which can do only specific tasks and you need to have them installed on your Android phones. Generally we do not use these apps daily but when the time comes they become handy so we have collected top 5 must have productivity apps for Android phones. If you are a Android power user then you can find these apps useful. Worst situation which can happen with a smart phone user is knowing that the battery of the phone is in red zone, this is the primary concern of all the smart phone users so there is an app which can optimize your battery and it is DU Battery Saver. This is the worlds most favorite battery saving life which can extend your battery life 50% more, easy management modes in the app will help you to know which apps are hanging and overlooked device settings. You know Adobe reader is mostly used on PC’s for viewing PDF documents but now you can install their app on your Android smartphones to read,annotate and sign PDF files. One more important feature in this app is we can annotate, make comments using drawing tools and sticky notes, you can highlight important text with annotation tools. This app is free but has some in app purchases. This is a personal location tracking app in which you can track the locations which you visited and you can track locations date wise, you just need to start mobile location tracker and give time intervals all the locations will be saved on Google maps and you can check them at the end of the day. You can also check which places your friends and family members have visited by installing this app on their handsets , this app will work even when the GPS is OFF. Presented by ES APP Group this app has been downloaded more than 300 million times, this is one of the best application manager for Android phones. You can use this app just as you do on your PC like cut/paste, copy/paste, rename, move, delete files. You can also create ZIP files and extract them, it can show thumbnails for APKs and images. You can also increase the speed of your device by killing applications with a single click. Avast antivirus is one of the most loved antivirus in the world due to it’s ease of use and protection it gives whether you are online are offline. When Avast is installed on your machine then you are surely protected, every year Avast updates it’s old versions and releases new versions now they are back with the latest release in 2015. Avast is used by almost 220 million people worldwide, Avast gives protection to PC’s, Mobiles and gives ultimate protection to all devices. 1)Latest Avast antivirus 2015 comes with a feature called Browser clean up, when we browse internet many unknown tool bars and extensions get installed without our knowledge but Avast removes all these annoying add ons which are automatically installed and makes your browsing more safer. The advantage of this feature is it makes our browser run faster, when extensions and tool bars are installed in a browser, the browser becomes slow so Avast cleans the browser and makes browsing more faster. 2)Avast has also got a feature called Remote Assistance which helps us or we we also can help others by solving their queries. 3)Avast also has software updater which can be easily updated and security and performance will be always good. 4)Most advance feature of Avast antivirus is the “Home Network Security” with this service you can protect your wireless routers and wireless devices hence you are always protected from the unknown hijackers. Avast antivirus is for everyone it has products for home(PC/Laptop), for mobiles(Android, iOS) and for business. Avast has got many positive reviews for its performance. Avast can be downloaded for free but its also has some premium versions which can be used by paying some amount. Imagine you sitting in a room and your friend sitting in another room and connected through a Wi-fi or Bluetooth and playing a action game, Dual game is some what like that you need to shoot bullets from your device and the opposite person needs to defend the bullets shot by you, seems interesting right. Developed by Seabaa this game is already getting a good response from many people who started playing this game. So. if you are a smartphone user then you should definitely try this game. Let us see the features of this game in detail. There may not be smooth playing experience with Blue tooth connectivity as it has beta feature and not guaranteed to work. Android phones which are 2.3.3 and up can play this game, size of the game is just 7.1 MB so size should not worry you. The game can be played by any one from a child to an adult and the game is completely free to download but has some in app purchases. You can download APK of Dual! game from here, just copy paste the Google play store URL and get the APK file. The hot topic of today for everyone is about Windows 10, which is the most recent version of the Microsoft Windows operating system for computers. It is just released and unlike previous versions of Windows, you may actually be able to upgrade to Windows 10 for free. Most people will still stick to Windows 10 as this is the OS that they are familiar with and because it’s still the desktop you love only better. You can do thing with quick start up and performance. You will love it because your stuff comes with you for both private and personal with the available of a more secure Windows. As long as your computer is using Windows 7 or Windows 8, you will be able to upgrade to Windows 10 for free. Windows 10 also comes with a lot of features and improvements over previous versions. Let’s take a look! OK, so this is the desktop of Windows 10, and it should look pretty familiar if you’ve ever used a version of Windows before. Here in the lower-left corner they’ve reintroduced the Start button. If you click that, you’ll get the Start menu,just like a older versions of Windows. From there you can access any program on your computer. Start menu is radically changed with the modern user interface is integrated in it. This make the operating system looks very good and more reliable. Windows 10 also offering users with new graphic interface, new icons for programs and folders. However, the icon of Recycle Bin is same with icon from Windows 98, and that is funny. But is a good combination between classic and modern. Windows 10 also includes a lot of features that make it even easier to work with multiple windows on the desktop. For example, the new Task View feature allows you to quickly see all the windows you have open and choose the one you want. You can also create virtual desktops, which allows you to keep different windows on different desktops and stay even more organized. Microsoft Edge is another big feature in Windows 10 as it as great improve of speed for accessing programs and apps. It’s meant to replace Internet Explorer as your default web browser and in terms of speed and security it offers a lot of improvements over IE, but you’ll still be able to use Internet Explorer if you need to. Microsoft Edge is a very good and smart browser, can said is 1000 times more better and faster than Internet Explorer, it is the best browser that Microsoft have show their sincere improvement on it compare to notorious IE. You can test the new exciting feature of Edge where you can encircle any location on footer or header of site. This feature is necessary and very useful when we want to show someone a screenshot. This browser is same with another browsers, for example Chrome, Firefox, Opera and others, but is more faster compare to them. Besides, you can add sites on favorites very easy with Microsoft Edge as well. I hope you can also see that Windows 10 is not like Windows 8. It’s very similar to previous versions of Windows, and, in general, we recommend that you upgrade to Windows 10 if you can. It’s faster than Windows 7 or Windows 8, it’s more secure, and its more likely to be supported for much longer than other versions. If you do not know your Windows 10 is of version 32-bit or 64-bit, you may refer to below pictures which will shows you how to find what version of Windows 10 you have on your computer. First, right click the Start button,then click System. Your system type is shown under the System heading, next to System Type. You will see either 32-bit Operating System or 64-bit Operating System. Should You Upgrade Or Do A Fresh Install? You probably are thinking about upgrading your current operating system to Windows 10. You may or may not know there are two ways you can get the Windows 10 installed. You can either perform an upgrade or a clean install where you will overwrite your current operating system. Now there are advantages and disadvantages to both ways. However, I would argue that there is only one way to install and that would be a clean install. I would go over with you why I think that is. Let’s go over and discuss about upgrade first. Basically what happens when you do an upgrade as opposed to a clean install. Windows 10 is installed over your current operating system so that all your files and settings and everything like that are supposedly restored on the Windows 10. After you finish installing, you should notice if there is any difference in the install programs they should all be. Check if all your files are still there. So it’s actually pretty easy way to upgrade and that’s really the only advantage to doing upgrade. It’s easier you’ll require as much knowledge if you are good with computers, all your settings will just be there supposedly nothing goes wrong. So you don’t really have to do anything extra as that should all work by itself. However there are significant disadvantages to it when you do upgrading to Windows 10 or any operating system. First of all, some programs might not work and many of us have these dead programs that don’t work even the files are still there. You will need to spend time on reinstall them with the newer version of that software assuming that there is one that the software developer can provide. Similarly any files and programs you never use anymore on startup programs and registry entries may comes along with it. So you’ll probably get a bunch of junk that you don’t even use anymore but still to be on the computer after you do the installation with the new operating system. Just as importantly any viruses or spyware could probably come along with it. So if you have any viruses on your old operating system before you upgraded you know an upgrade is not going to save you from those. 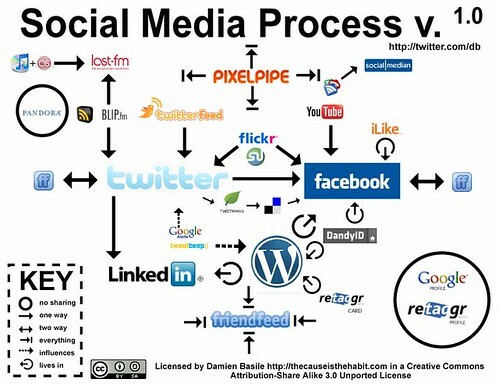 Another disadvantage is that the process is more complicated. It is not for the user but for the operating system. The whole process is to replace the files and keep the programs installed. Besides, you need to make sure all the settings are working as best you can and everything are at the right place. When doing upgrade some stuff might not work as it should when it’s done installing. Yet another disadvantage which is kind of like a result of all the other ones is you may get lower performance after done upgrading. There are studies show that if you done upgrading and you will end up with a less performance OS. This is understandably because all the start program files still there and everything is cluttered still on the computer. You are not going to get up at fresh install performance so now let’s talk about a clean install. Imagine the advantages are pretty much the opposite of everything I just mentioned above where programs or files taking up resources and you don’t even use them anymore but are still there. When you do a clean install everything that is supposed to be there will be there. Because of this you are going to get better performance than a regular upgrade and get the best performance possibly without doing extra in the way. Know there are really only two disadvantages to doing a clean install. The first one is that you need a little bit of advanced knowledge but if you’re really bad with computers you’re probably didn’t get confused. For example, if you don’t know what the partition is or how they work you probably going to get a little confused during this clean installation because it can ask you what partitioning you want to put on. You might have to resize one or delete some recovery partitions if you don’t know what all that is you have a hard time. The second disadvantage I’m sure you already know this but it’s a real pain afterwards is that you have to reinstall everything and reconfigure everything to move all your files back. The reason why we should be backing up even if we do not upgrade but doing a clean install as everything is going to be wiped out. You got to make sure all your files are backed up so that you can copy them all back later. For one thing you’re just initially due to the installing stuff use all the time and have good performance. It is not possible to conduct online business without the support of e-commerce software that runs all the major functions of an e-commerce website. Online business has become very popular in recent years and this has prompted software developers to come up with tools that can facilitate online transactions. There is quite a number of ecommerce software in the market but each works differently when when it comes to facilitating online transactions. E-commerce software is commonly referred to as shopping cart software and the software should have the basic components that support e-commerce. This article will highlight some of the major functions of e-commerce software, for example, opencart themes. The first major function of e-commerce software is web hosting of an e-commerce website. The software runs on a web server and plays a critical role in hosting your online store. It is important to consider factors such bandwidth, cost and reliability when you are selecting a web hosting provider. The second major component of e-commerce software is the merchant interface component. The merchant interface component is very important in the sense that other tools can not be used without it. It is advisable to select e-commerce software with a merchant interface that is simple and easy to use. A good merchant interface tool should be flexible and less complicated. An example being is an opencart template from icetheme. The third component of e-commerce software is the product catalog that enables customers to see your products. It important to create a product catalog that presents your products to customers in the best way customers. A lot of time and effort should be dedicated to creating a product catalog because it plays a critical role in attracting potential customers to your online store. A Product catalog consists of pages with product information and the pages should be designed in a very attractive manner. The fourth component is the shopping cart that customers use to place their orders. A Shopping Cart includes the selected products, payment information and if possible shipping information. Customers simply add products of their choice to the cart and submit it to the seller with all the required information. A Shopping Cart can change the perception of a customer about your store and that is the reason why it is important to ensure that it works well apart from looking attractive, Some like opencart extensions will aid in this. The payment processing component enables you to accept payments from customers. The software allows customers to place orders and then completes online payment processing. The other important tasks that are normally carried out by e-commerce software include tax calculation, shipping cost calculation and advertising. The software is a great alternative to free opencart themes that you may be thinking of purchasing. In today’s enterprise technology ecosystem, you don’t need to wonder whether the exponential growth in mobile computing technologies will affect your organization, or even how soon. Chances are that it already does. The question you should be asking yourself instead is how you can best leverage these technological changes to improve the operational responsiveness of your organization? Another consideration is improving the effectiveness of building customer satisfaction and reaching your strategic goals. This shift to mobile technology can empower your employees to access data when and where they need it. You can boost your organization further by also incorporating the ability to update and revise information into your enterprise solution. By leveraging projections and requirements based on real world data, you can seamlessly track, monitor and manage your business operations with a high degree of accuracy. An SAP consultant from GROM can help you determine how mobile technology will affect your organization and what a mobile strategy can do for you. So – What Exactly is It? SAP mobile technology offers your business a single unified mobile computing platform, as the SAP Sybase Unwired platform supports both web-based and native applications. It allows customers, employees, and vendors to collaborate, exchanging data between traditional back end systems. SAP’s Afaria data protection application is a scalable mobility enterprise management tool that secures and controls both enterprise and employee mobile devices. SAP mobile technology offers end-to-end encryption and enhanced application security for safer employee device use. The consumerization of corporate IT has been accelerated by mobile computing trends, and the “bring your own device” (BYOD) phenomenon has created an urgent need for a solution that monitors and manages this profusion of devices, versions and platforms. Ensuring the security of company data stored on the devices is an obvious priority. Afaria allows data backup and deletion if a device is lost or stolen. Afaria also manages and delivers fixes, upgrades, and patches. The SAP mobile solution is a proven multi-purpose development platform that is consistent but very adaptable. It offers mobile marketing and commerce and incorporates mobile messaging and mobile CRM services through its Sybase 365 software, which handles almost two billion messages a day. Deploy across major systems like iOSx, Windows, Android, and Blackberry. Developers can also model mobile applications using NetWeaver Developer Studio, which is part of the NetWeaver Mobile suite. This suite also includes a mobile client with store and forward capabilities for occasionally connected business scenarios as well as tools to monitor and administer enterprise devices. This article is by Craig Shaneck, Director of Sales and Marketing at GROM, an SAP solutions provider, which he’s been a part of since 1998. He writes and publishes new articles regularly on the GROM blog. The guitar software is typically used to help guitarists in recording and editing musical pieces. It allows them to add accompaniment and perform tasks such as tuning. 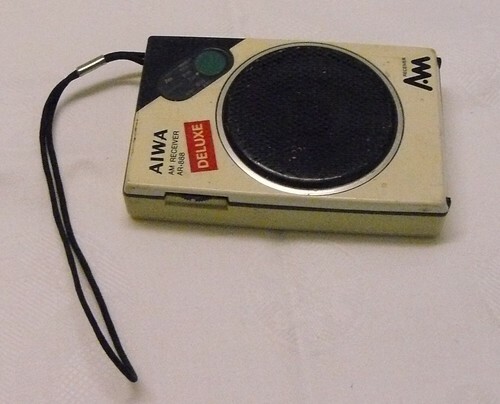 However, developers used this technology to help aspiring guitarists in learning the ropes of how to play the guitar as well. If you need such program, then here are 10 best software available online. Jamorama features a wide list of video tutorials for amateur guitarist which includes proper handling of the pick and the guitar, strumming, and plucking. You will also learn some basic chords such as D, A, and E from its video library. Because it’s an online tool, you can access the software through mobile devices anywhere you go. Full subscription costs $20/month but you can have the trial version for free. This software gives you access to video tutorials that are available in different angles for effective learning. You can also determine your learning speed by controlling the frame rate of videos without decreasing its sound quality. The videos go directly to guitar learning and no longer brings you to the theory of musical notes. Download it for free online and choose the correct installer for your operating system. Gitarrero Beginner has a wide list of songs that you can play at 10 different levels. The tutorials focus mainly on strumming patterns from standard rhythms to groovy styles. It’s an offline application, letting you access its music libraries even without internet connection. Both full and demo versions are available through its official website. Chord Scale Generator is an award-winning tool for all your guitar scales and chords needs. It has all scales and chords for all string instruments like charango, violin, guitar, cello, domra, and others. You’ll also get access to all predefined string tunes to help you set up your instrument before practicing. Download the free trial now and unlock its full features by purchasing an activation key. With its visual animations, Guitar Method is very fun and interactive to use. It teaches you the basic notes, allowing you to play music sheets with your acoustic guitar. It’s also filled with techniques that you can use to quickly understand multiple rhythms without confusion. The software costs $49.90 but it comes with a free trial for evaluation. Guitar and Drum Trainer helps you listen to your favorite song without missing any instrumental details. It can slow down music files to help you identify musical techniques within the song. You can also control your learning speed by creating loops on complicated parts of the song. You can download its trial version for free before buying the full version. The software is packed with different features like dictionary of chords and more than 150 of lessons to master the guitar. It’s easy to install with real-time support from the developers. The interface is very easy to navigate, helping you learn music with ease and convenience. You can get its trial version before buying the program’s license. aGuitar Pro is filled with tutorials for aspiring guitar and bass players. It features easy-to-use tab viewer and chords generator. With a click on your mouse, you can listen to the tune of each displayed chord without leaving the lyrics on screen. Its free trial is always available for download online. This application features both chords builder and library to help you learn the basics of guitar playing. It will give you some challenges to put your knowledge and talent to the test. You can customize the interface to your liking, allowing you to play notes and practice chords upfront. It’s completely free to download from the internet. This program features a fret board with real-time finger display. It has an interface which you can customize with guitar skins and colored dots to represent finger positions. It allows you to adjust tempo to 300% max without decreasing the pitch. You can download it online at no cost. Did we forget the software you currently use? Share your favorite guitar software below and tell us how to get it. vagueware.com can get an updated for about software development. Most people have very particular tastes in music and will typically spend a lot of time trying to find new (or old) artists that fit in with their favourite genre or style of music. This may involve looking through music-related blogs and websites, forums, or simply listening to the radio to discover new, exciting artists and bands. However, the introduction of Internet radio has made discovering great music even easier. 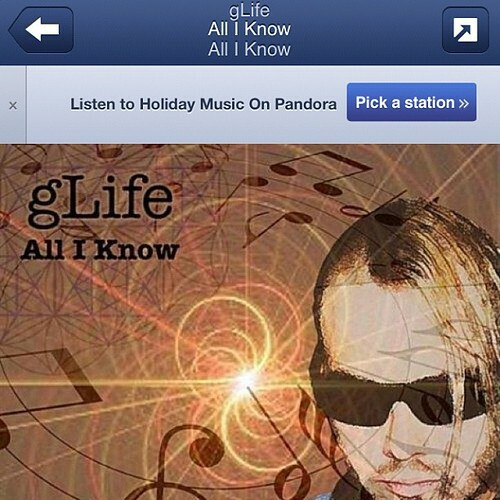 Pandora, much like other Internet radio sites, allows you to find music that fits in with your specific taste. However, Pandora, and creating your playlist by using it, is very personal to you. It doesn’t take into consideration recommendations from others, it doesn’t understand different genres of music and you won’t see others rating certain bands, albums or singles. You initially will have to create your very own radio “station”. You can add a variety of songs that you like listening to. From here, the vastly superior software takes over. Pandora will analyse the music you have added. It will take into account certain attributes, which include the rhythm of your music, the beat, lyrics, harmony, melody and overall composition. 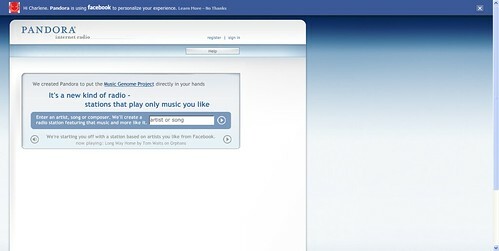 From here Pandora will then play you songs that have very similar traits to the songs you originally added to your “station”. The technology behind Pandora was brought to market by the creative technological skills of Will Glaser. Tim Westergren then utilised his musical talents to create what we see before us today. The company behind all of this, Savage Beast Technologies, brought the initial version of Pandora to us in 2000. 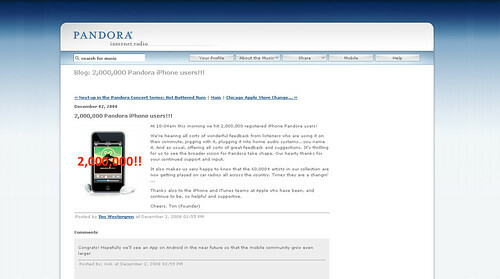 However, after very rocky beginnings and near failure, since 2005 Pandora has gone from strength to strength. 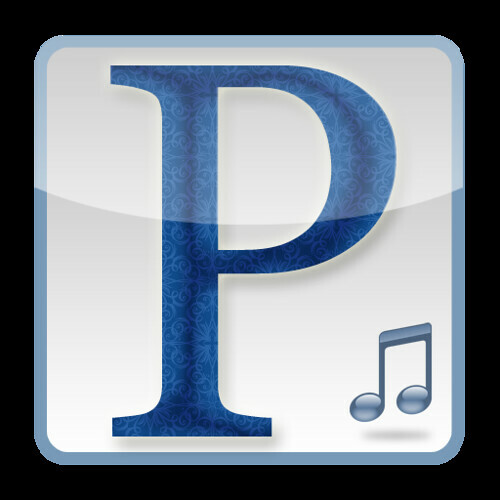 Pandora radio has now also been converted into an app, which is compatible with the vast majority of smartphones, including iPhone, Android and Windows. The radio streaming service now has well in excess of 200 million users, and approximately a third of these users are active on a monthly basis. Music is typically all about social interaction and Pandora is no different. Once you have created your radio stations you can connect with others through the app. You can email any one of your stations to your friends and family, if there are particular songs you like you can bookmark these to either listen to or share later. You even have the ability to purchase your favourite tracks from iTunes. The app itself is completely free, although there is an upgraded version available for US$3.99 a month. The upgraded version of Pandora provides you will far higher quality in terms of audio, you will never be interrupted by ads, and there are a number of custom skins and a desktop application for you to use. If you sign up for the upgrade, known as Pandora one, your credit card will be charged and your subscription will be automatically renewed on a monthly basis. Today’s guest author, is a sales executive at 3xL, a store for DVD printing in Sydney, Australia. He is a tech blogger and enjoys writing about new technologies and innovations as and when hit the market in his articles. It’s not often that a document format generates affection, let alone amongst the world’s most elite executives, but so it is with the PDF. Originally Adobe’s proprietary format, PDFs have were made an open standard in 2008 and have been one of the most consistently ubiquitous file formats in modern business. In this article we explore why that is. The PDF was first mentioned in a press conference in 1991-1992. The tools used to create and view PDFs (Adobe Acrobat) were released in 1993. It took a while before Adobe finally dropped their prices to something more affordable. Even the minor bridge programmes cost as much as $50 in the mid nineties, in an era when many people were just catching on to other home publishing packages. We’re coming up to the ten year anniversary of the document that has truly changed the way that many industries work. At its inception, Portable Document Format was regarded as a medium for print. While even now it’s a format that produces some of the most reliable print output, PDF will also produce functioning web links, making it a popular medium on the web. Although not as fast or flexible as HTML pages, PDFs are guaranteed to appear in exactly the same format and proportion no matter what device they are viewed on. This reliability also makes them excellent tools for presenting documents and case studies, the very lifeblood of most offices. Exchanging information in print, via email and on the web is a routine part of most days and the fact that some of those documents are being used to inform multi billion dollar decisions makes PDFs an incredibly important part of organisations’ infrastructure. Once output, the PDF cannot be edited by recipients, making it secure from tampering or alteration by third party. This small additional level of security is valuable in a world where digital data can so easily be changed by users, leaving little trace and means that the format is quick, easy way of distributing information that cannot easily be changed. Finally, because the tools for both creating and reading PDFs are free and arrive built into most operating systems, it’s a format that flourishes in a decade where even the most successful business has a keen eye on the bottom line. When something works so well and comes without a price tag, widespread adoption should be no great surprise. Big business and PDFs are a match that continues to bear considerable fruit.